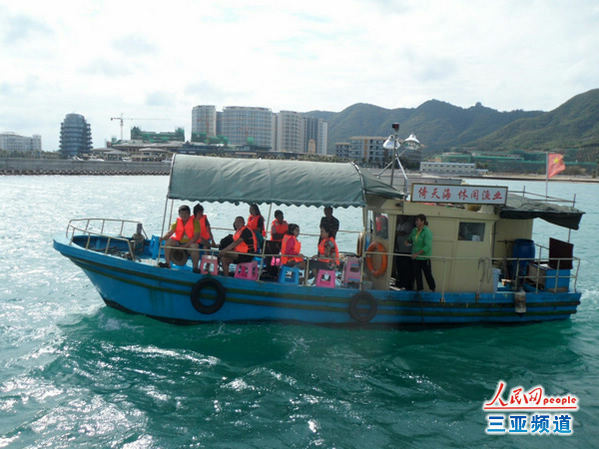 Sanya maritime bureau is launching a crackdown on the illegal operation of fishing boats around the city’s ocean areas. On the afternoon of February 21, law enforcement officers on the marine patrol ship “Haixun 1820” investigated and found that an unlicensed fishing boat was operating illegally in the sea areas of Luhuitou Bay. The law enforcement officers educated the captain and asked him to stop their illegal operation immediately and take the tourists back safely. Early in January, a similar incident was recorded at the Xisha Islands, when 24 tourists were stranded after boarding a fishing boat without any authorization from the local government.